Without any further delay, here is the completed Blood Angels Armageddon Banner Bearer. Over the past couple weeks, you watched me piece him together through construction and painting. This guy has been shipped off and will be on display for Games Day in the next few weeks with the rest of the Heroes of Armageddon armies. If you're going to be there, stop by and get a look at him. I'd love to know what you think of him. If you still haven't contributed to the project, you need to go do it now. Even if for some odd reason you don't want one of the armies... helping out Doctors Without Borders is more than enough of a reason. You can find the contribute button at the upper right corner of the Heroes of Armageddon site. I want to thank everyone who has helped support the project! Wow that is a beautiful banner Ron! Well done sir! I think he looks even better in real life. Hopefully he blends in nicely with his squad and the winner enjoys using the model. WOW! 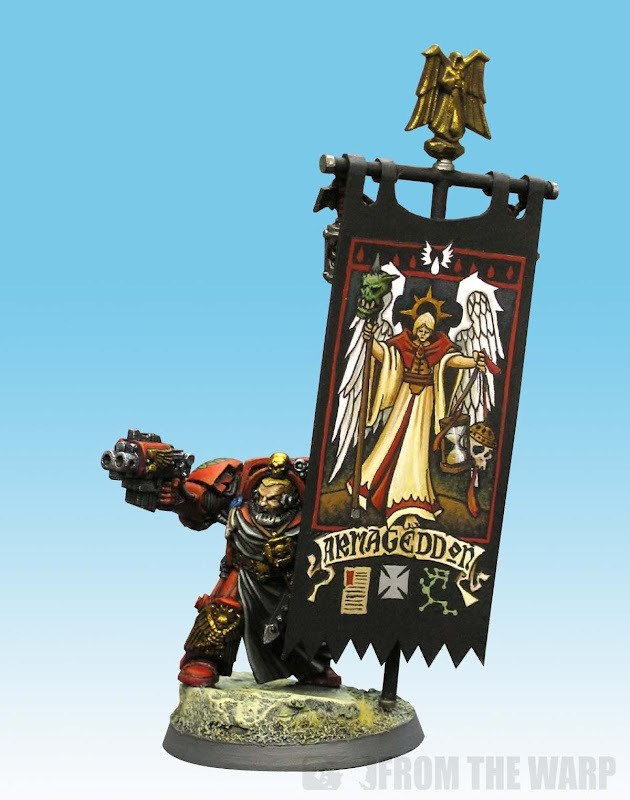 Amazing banner, I really like the way you go about designing and executing your ideas. Aces on the model, Ron. I'm glad that you were chosen for this project and really think you nailed the look and feel. One of the best banners i've seen in my life. Truly impressive. Vitor: Thanks. I figured I better have some kind of reason for adding the things I did otherwise I may not be invited back again next year and I might make lots of Blood Angel players mad at me. misterjustin and Fridge: Thanks guys. 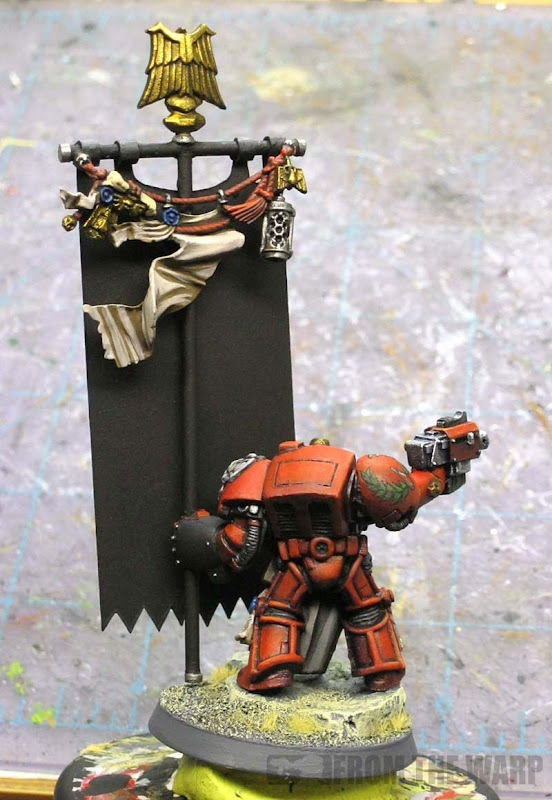 Jawaballs: Make sure you do a good job... those Blood Angel players are very particular about their chapter. Get them on your bad side and it's nothing but problems.